The upcoming Diversifying Revenue Channels in For Purpose Organisations conference offers not for profits the chance to learn how to apply commercial principles without losing purpose. The not-for-profit sector has significantly grown in size and is becoming an increasingly competitive market. Service organisations are finding it difficult to remain sustainable with more providers flooding the market and government funding significantly stripped back. Advocacy groups are struggling to adapt to the new online and digital economy as small change donations have been steadily declining. To remain financially viable, not for profits must find new ways to diversify their revenue streams and increase funding to their organisations. The Diversifying Revenue Channels in For Purpose Organisations conference on the 16 and 17 April is your opportunity to learn how to apply commercial principles without losing a focus on your organisational purpose and vision. Identify opportunities for revenue diversification and develop a strategic growth plan to maintain additional revenue channels. Discover the success of Andy Skidmore, CEO and founder of Burn Bright, in establishing one of Australia’s most innovative NFPs through social enterprising. Hear from Catherine Harris, general manager of business development, on how Sacred Heart Mission established Victoria’s first social impact bond with the Journey to Social Inclusion (J2SI) program with a mission to end chronic homelessness. 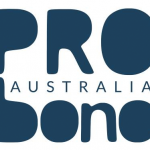 Discover how one of Australia’s most influential not-for-profit CEO’s, Jason Cubit, (one of Pro Bono’s Impact 25 winners in 2014) was able to attract $6.7 million in impact investments from HESTA to go towards finding real solutions to affordable housing and solving the housing crisis in Australia. Book your ticket now to see these speakers and more at the Diversifying Revenue Channels in For Purpose Organisations conference on the 16 and 17 April in Melbourne.